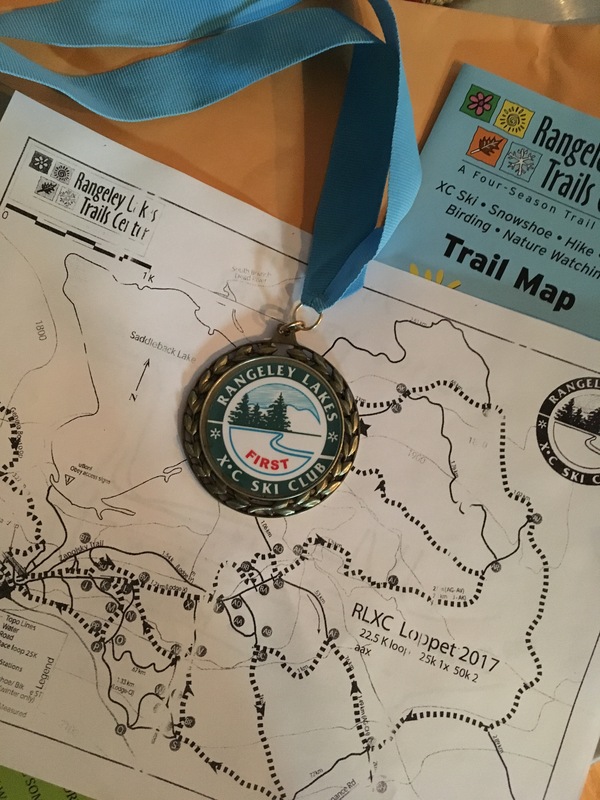 The Rangeley Loppet was my last race of the ski season. A thoroughly forgettable affair that I can’t stop thinking about and is still haunting me three days later. I had a good start. I went out with the fast college boys like I had planned. I was going to bury myself in this last race if that’s what it took. I felt up to the challenge. My warm-up skis had been dragging in the fresh, wet snow. My race skis, with high fluoro wax and a Jetstream topcoat were running much better. But these skis hadn’t done well in warm, wet weather this season. They were a colder grind, but already a few seasons old, and I had my suspicions about them. I could feel the wax wearing off. The skis starting to drag. And only after a kilometer and half. Then they simply stopped working. I was off the back of the college group. I stepped into the tracks to reconsider my plan. I waited while the second group caught up. I tried to ski at the front but drifted back, one skier at a time. The harder I pushed, the slower the skis went. Then I was off the back of that group. I tried to latch onto the next group and that went no better. Then I tried to just enjoy the ski and that wasn’t in the cards either. By half-way through the lap, I was dangling off the back of the Dartmouth-Colby women’s pack, out for an easy over-distance effort, and pushing my limits to keep pace with them. So when we came through the start/finish for the next lap, I packed it in. I wasn’t interested in a death march. The only upside was that I got the food table before everybody else and put a pretty sizable dent in the cookies. After the race, everybody had the same story of slow, sticky skis. It’s a tough calculus. Ski selection, grind, wax, topcoat, rill. The really serious guys might test a dozen different combinations. I had one pair. Live or die by them. I’ll get them re-ground in the off-season. Maybe finally get a good pair of dedicated warm skis. Or maybe just stop caring so much about the performance and try to enjoy it. The rest week — a real rest week with days off — started on Sunday. Of epic proportions in every dimension: The longest distance. The most varied terrain. The longest drive. The most complex waxing. We members of the Brotherhood — Frank, Andy and I — had decided to arrive the day before to preview the new 16km loop and to test waxes. We had started calling our little group ‘the Brotherhood’ a few years ago in Mont-Saint-Anne, where we followed a psuedo-monastic daily regimen of eat-ski-eat-sleep-ski-eat-beer. We’d taken vows of hypoxia and carbo loading, prayed to snow gods and bent prostrate subsequent to all-out efforts in Tuesday Night races. We were reverant, if not fanatical. 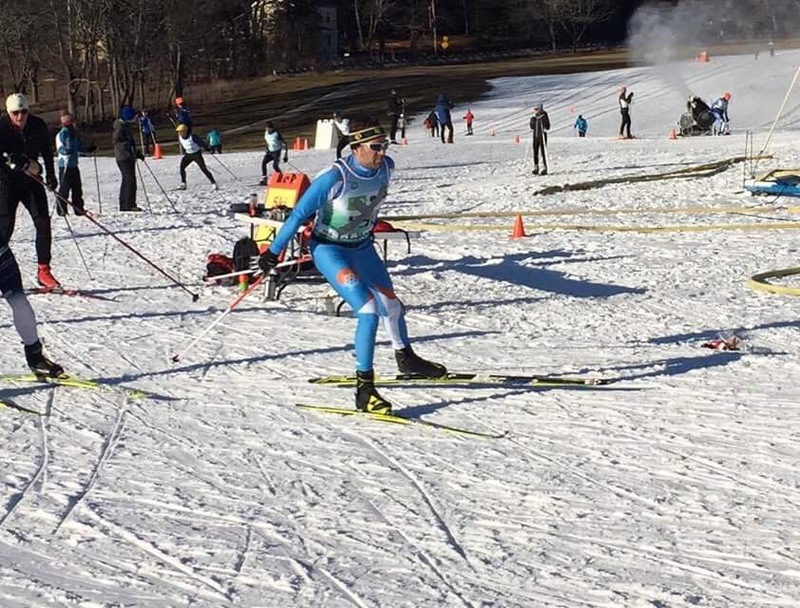 A little while back, I ruined an otherwise perfectly lovely Saturday afternoon by racing the “Westonloppet” at Leo J Martin Ski Track. The brainchild of a sadistic actuary, the Westonloppet was a mad distortion of cycling’s Hour Record. Skiers would race for TWO hours around 1.157 km loop. The skier covering the most distance quantified by lap count over that time period would be declared the winner. 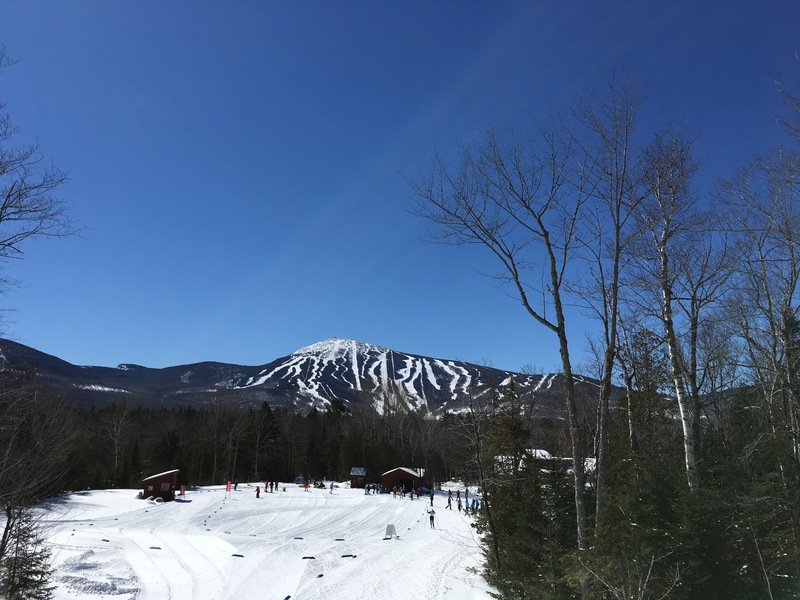 To further complicate matters, it was a sunny day, with temperatures hovering around 31.5 degrees Fahrenheit, just cold enough for the snow guns to be blasting pappy, fondant granules of “snow” onto the course. In summary, it made for wet, slow snow that sucked at the skis. 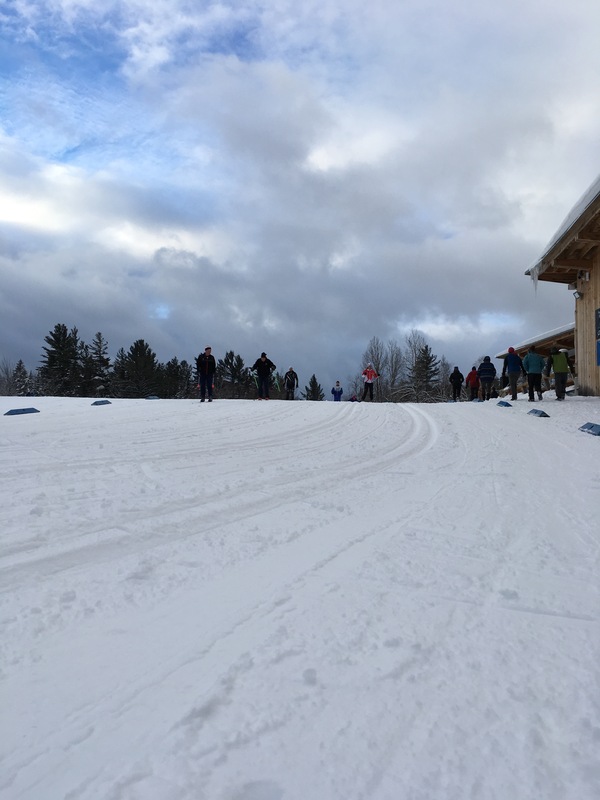 The Craftsbury Marathon is the long game. For weeks beforehand, you agonize over the trail conditions and the weather forecast. You question your fitness for a 50 km classic race. In the days leading up to the race, you struggle with travel logistics and advanced waxing schemes. You check a plethora of weather apps, consult teammates, wax gurus and the gods. You reach back through the years to the times when you had fast skis and good kick and try to cross-reference past results with future conditions. Some fellows keep notebooks and spreadsheets. Others, elaborate formulas, algorithms and fleets of test skis. Whatever it is, I’m guaranteed to screw it up. So I take a less-is-more approach to waxing. Especially after last year, when I agonized over ski selection and picked a pair that were too stiff because I though they’d run klister a little bit faster and suffered needlessly in the final laps. In 2017, I had developed a simple race strategy and waxing plan. I had two pairs of skis that were nearly identical and I had arrived early enough on Friday to do some testing and course recon. It had been snowing all afternoon so the conditions were different than the frozen granular I had been expecting. The test skis–Rex PowerGrip Purple covered with VR45–iced up pretty quickly on the fresh, ungroomed snow. That was an omen I chose to ignore because the conditions were indeterminate. There would be more snow overnight and the race director described an all-night Pisten-Bully operation that would grind the new snow and the frozen deck into an unholy covered klister situation. So I scraped the skis clean down to the chola binder, packed them away, and headed to the Village House for dinner. I ate a good meal of spaghetti and a little red wine. I was stretched out in bed by 7:30, well before my typical arrival time, digesting peacefully while reading David Talbot’s The Devil’s Chessboard to distract myself from the wax call.